You want to spend your summer vacation at an old mansion in the countryside; the place is cheap and you’re sure your family can fix it up. But there’s a condition: The owners’ elderly mother, Mrs. Allardyce, lives upstairs and will remain in her room for the duration of your stay. You will probably never see her. All you need to do is leave a tray with food outside her door three times a day. No big deal. 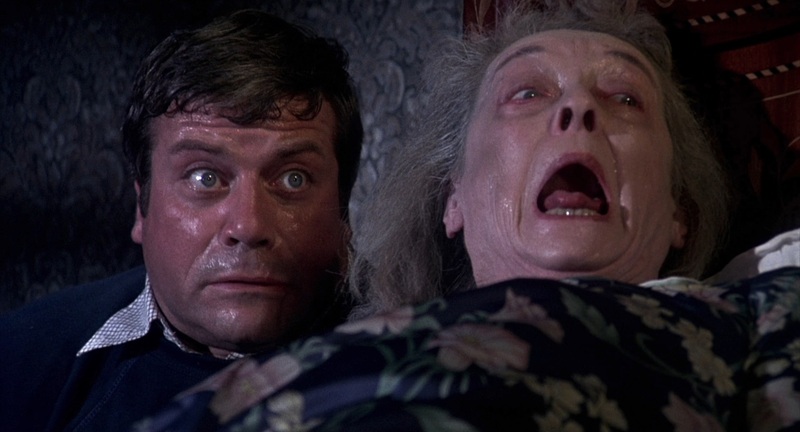 Why anyone would agree to that arrangement is beyond me, but that’s exactly what happens in the cult horror classic Burnt Offerings. 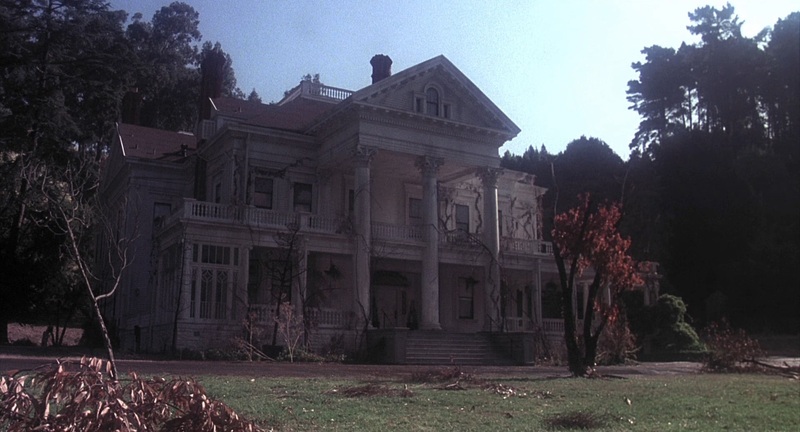 While not on a par with other haunted house classics, this one has the distinction of not being about vengeful ghosts or demonic possessions: Here, it is the home that’s evil, feeding off the life force of its guests and reconstructing itself shingle by shingle. It’s a bit cheesy and over-the-top, but the atmosphere is creepy and the ending is pretty shocking. As for the old lady upstairs? I guess you’ll have to watch to find out.